I am so happy that you stopped by today because I have a special project to share with you. 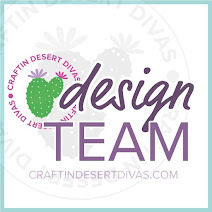 My sweet crafty friend, Georgiana, recently asked me to be a Guest Designer on the fun challenge blog Die Cuttin' Divas. I am really honored and excited and can't wait to show you what I've created! The challenge this week is to use a pumpkin (or pumpkins) on your project. I started my project with an Artist Tray made by "7 Gypsies". I knew I wanted a fall theme so I picked pretty papers in gold, orange, brown, and green tones. I also picked images that remind me of falling leaves, cooler weather, thanksgiving and things I am grateful for. * For each square I measured and cut a piece of thin cardboard. After choosing the paper for that square, I glued it on, inked up the edges in "Vintage Sepia" Ink by Versamark, and stitched around the edges with dark brown thread. 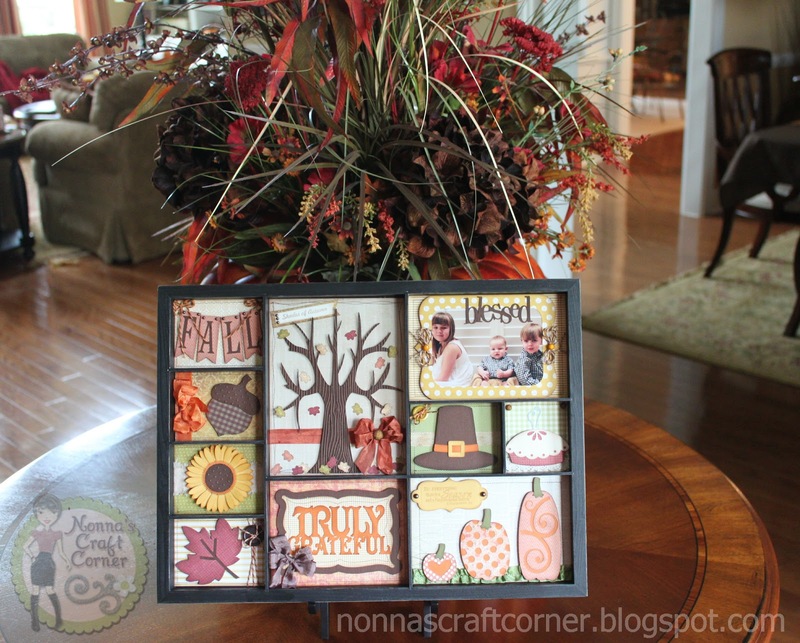 * Next, each square was decorated with an image that makes me think of fall. All the images are from the Silhouette Online Store. * After I completed each square, I added some Zip Dry Glue to the back of the cardboard and adhered it into the correct space. *The "Fall" Banner is designed by "Echo Park" - I used a few gems from Recollections and some cute orange and brown twine from Trendy Twine. * The acorn is also from "Echo Park". The top portion is embossed with the "Swiss Dots" embossing folder. 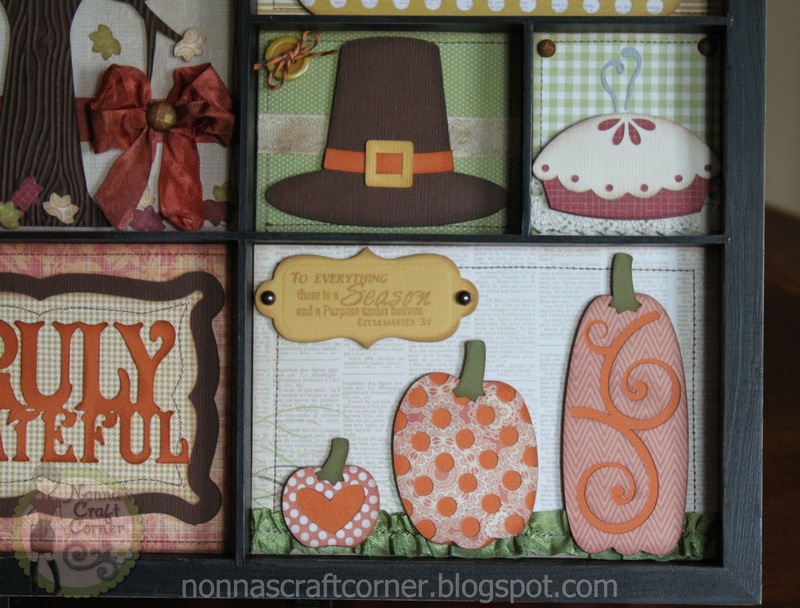 I used some beautiful Crinkle ribbon from "My Craft Spot" to finish this square off. * The sunflower file is called "3D Sunflower" and is so pretty! The brown center was also embossed with the "Swiss Dots" folder. The strip of burlap behind the flower is from "Canvas Corp". 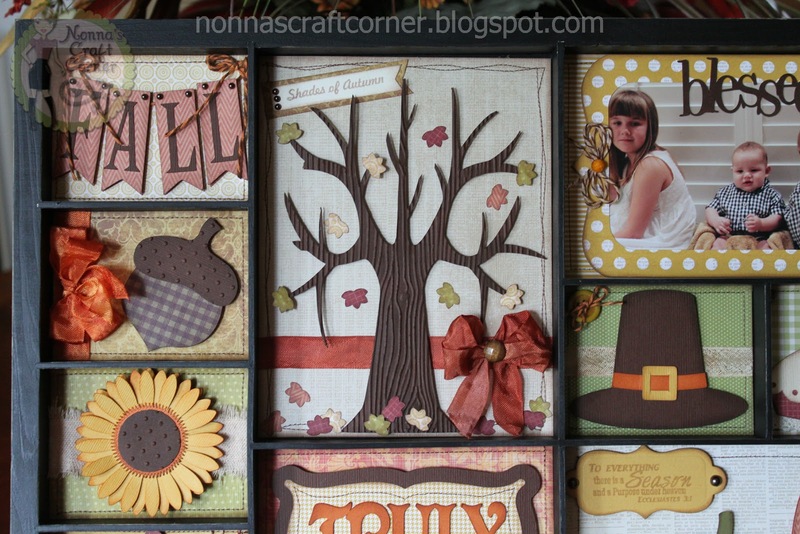 * The tree is embossed with the "Woodgrain" embossing folder. I added some rusty colored Crinkle Ribbon to this square and a gem from "The Paper Studio" in the center of my bow. The sentiment is from "Pink By Design" and I hand cut the little banner. * The pretty leaf comes next. I added some twine in a vintage pattern. I'm not sure where I purchased this twine from - I've had it for a long time. A dark brown button finishes up this square. 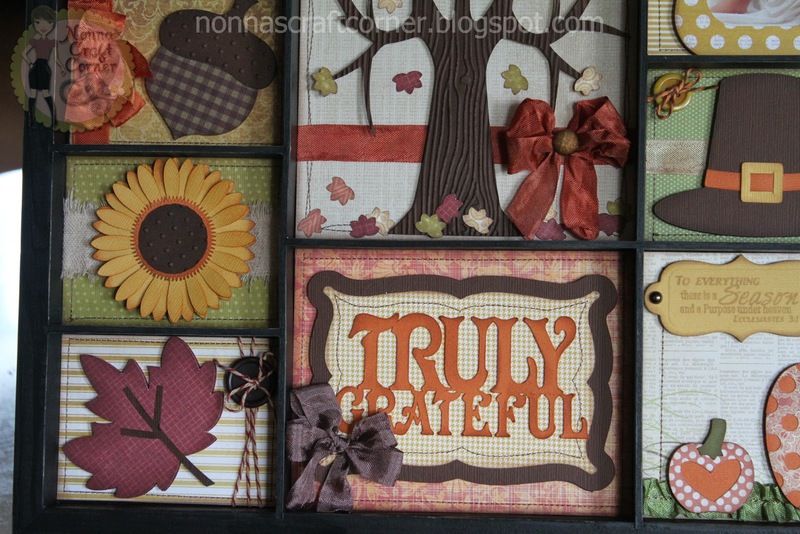 * I cut the phrase "Truly Grateful" in orange cardstock and inked it up with more brown ink. This was added to a pretty frame after I stitched around the edges. The file for the frame is called "4 Nested Frames". For the finishing touch, I added more beautiful Crinkle Ribbon. * Now, this file cannot be found in the Silhouette Online Store! These are my 3 beautiful grandchildren - Emma, Brayden and Blake! I used a sweet frame from the SOS and added a couple of bows made from more vintage twine and gems. The phrase "blessed" is also from the SOS. *The Pilgrim Hat and Pie are both from a file called "Thanksgiving Icons". A few gems, a button and some twine complete these squares. * And, finally....the pumpkins! These fun pumpkins are from a file labeled "3 Pumpkins". I love the designs on each one. The sentiment is from "K. Andrews Designs" and is stamped on a label I cut using Spellbinders "Grommet Tags. Before I end my post, I would like to thank Georgiana for inviting me to play along with this week's challenge. 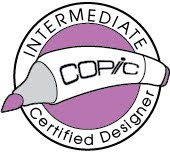 I hope you will hop on over to Die Cuttin' Divas and see what beautiful projects the Designers have in store for you. I hope to see your Pumpkin project lined up for this week's challenge! Thanks again for stopping by and I'll be seeing you soon! This is just incredible - so are your Halloween blocks. I'm anxious to buy some of that crinkle ribbon. You do amazing work. Thanks for sharing your talents. I am a new follower. This is a fantastic project!! Beautiful decoration for your home!! This is gorgeous!!! Love all the details, the beautiful colors and pattern paper!! Oh my gosh Tanya....I saw this over on FaceBook and just had to come over to tell you how amazing I think it is!!! It really is such a work of art that I know you will treasure for many many years to come...LOVE IT!!! OMG...that is BEAUTIFUL! What a prefect home decor...I may have to try this! LOVE IT! Tanya ~OPkay this is simply INCREDIBLE! I LOVE the tray idea and ALL the details! The cuts, the paper, the ribbon ~ just everything is AMAZING( like it always is when I come over here) but those little ones ~ OMG!! They are ADORABLE!!! They have to LOVE the fact that their Nonna is so CREATIVE too!!! First of all, thank you so much for all of your sweet comments on my blog. I truly appreciate it! This artist's tray is just beautiful! You did a great job on it and I love all of the details you've added. You worked really hard on this and it shows. OMG!! !This is Beautiful!Stunning!Gorgeous! !Love it!Congrats to you on being this weeks Guest Diva at DCD. Beautiful project Tanya. Love all the die cuts. This is so beautiful! You're so talented :) thanks for sharing your creations. Oh my gosh, this is so fabulous, Tanya!! 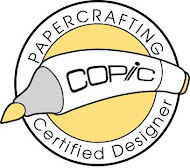 I love all of the cuts and papers you used!! 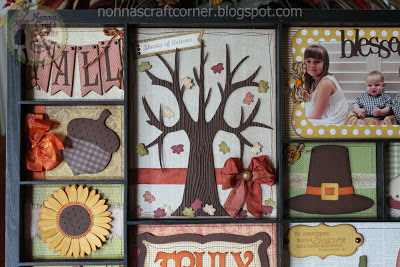 What a beautiful project and perfect Fall home decor!! I'm hoping I can find one of the trays so I can try this!! Love it!! Oh Tanya this is priceless!Fabulous project,just love all the cuts you added and the gorgeous piccie of your grandchildren.I would leave this decor up all year. WOW. This is sooo beautiful!!! I love all the details the papers the cuts everything !!!!! Glad that you could be our guest Diva this week at DCD!! This is gorgeous! I absolutely love all of the details! Beautifully done! Tanya, this is stunning. The whole is exceptional. Love the cuts, sentiments and pics. Wonderful details. Oooooh wow Tanya, this is FABULOUS!!! What a great project and all the papers and cuts are so awesome. I love the 3D sunflower- wow, wow, wow! This would make a wonderful gift too...love!!! Tanya: Your artist's tray is wonderful---great pumpkins! Thanks for joining us for our Challenge #24 - Pumpkins. Tanya, this is gorgeous! What great elements and colors! The cuts are perfect and the design is fabulous !!! 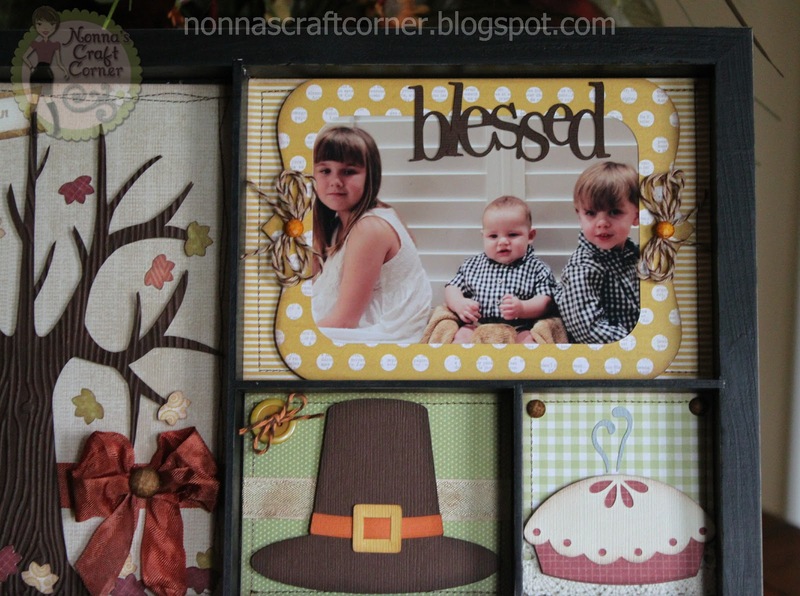 Adorable project and it looks great on display in your home. 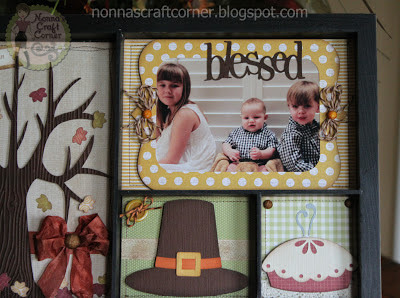 I saw your project on the Silhouette blog today---it is fabulous!! Congratulations on your Silhouette blog feature today! Amazing work and totally deserving of the recognition!